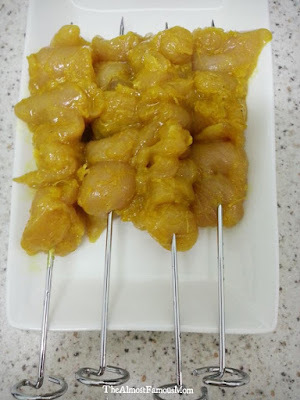 Satay is one of the most popular street food in Malaysia and it is one my favorite street food (a.k.a. 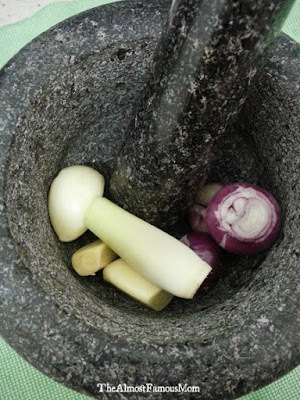 pasar malam must-haves). 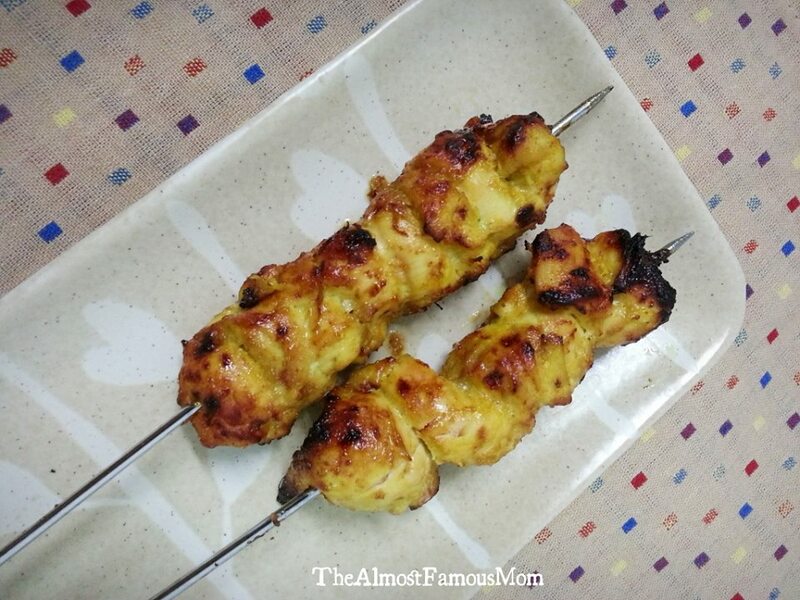 If you have never had the pleasure of tasting satay, you don't know what you are missing! Satay is a dish of seasoned, skewered and grilled meat that you can practically find in every corner you pass - roadside satay stalls, hawker centers, kopitiam, pasar malam and even high-end restaurant! 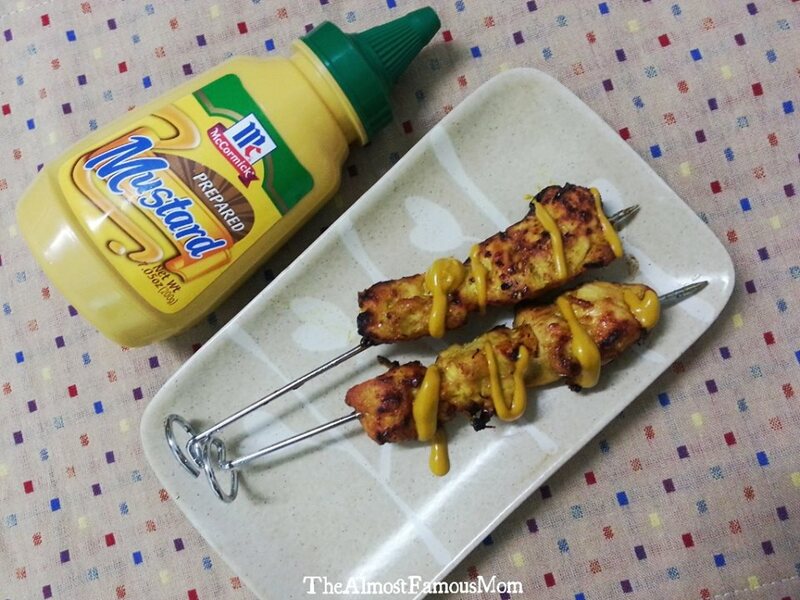 I love eating satay but my hubby is not a big fan of satay because he often complained the meat is too sweet (even without dipping the sweet peanut sauce)! 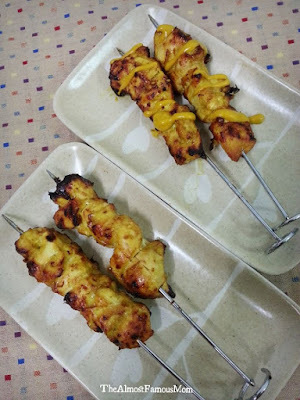 I'm really glad that now I can prepare my own homemade satay and AirBBQ to perfection (without having to set up the BBQ pit). 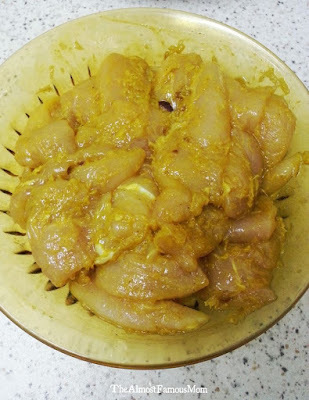 Cut the chicken into small cubes or long strips. 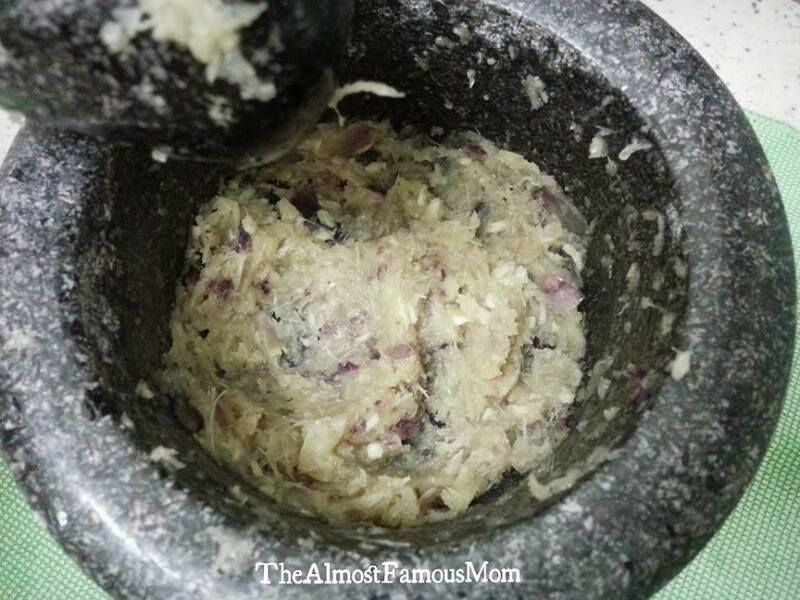 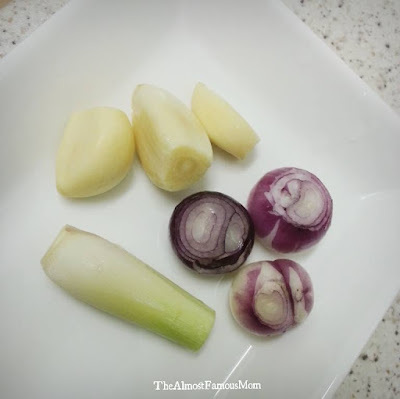 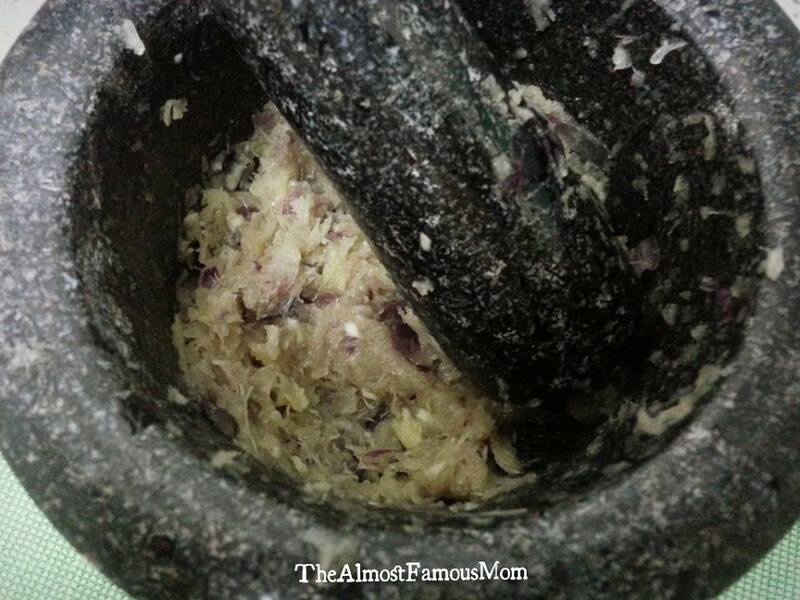 Pound or blend together the lemongrass, shallots and garlic. 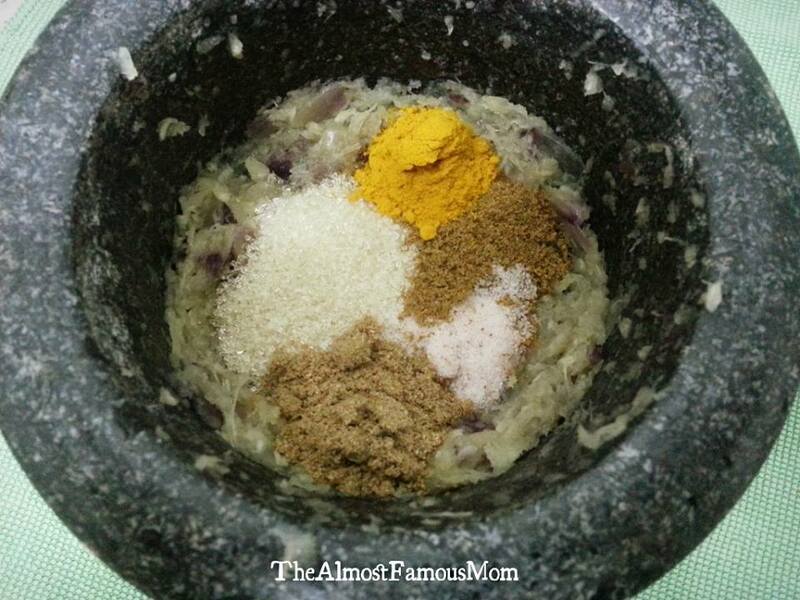 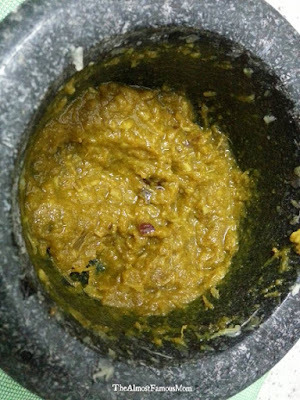 Add salt, sugar, oil and spices into the pounded/blended paste and mix it well. 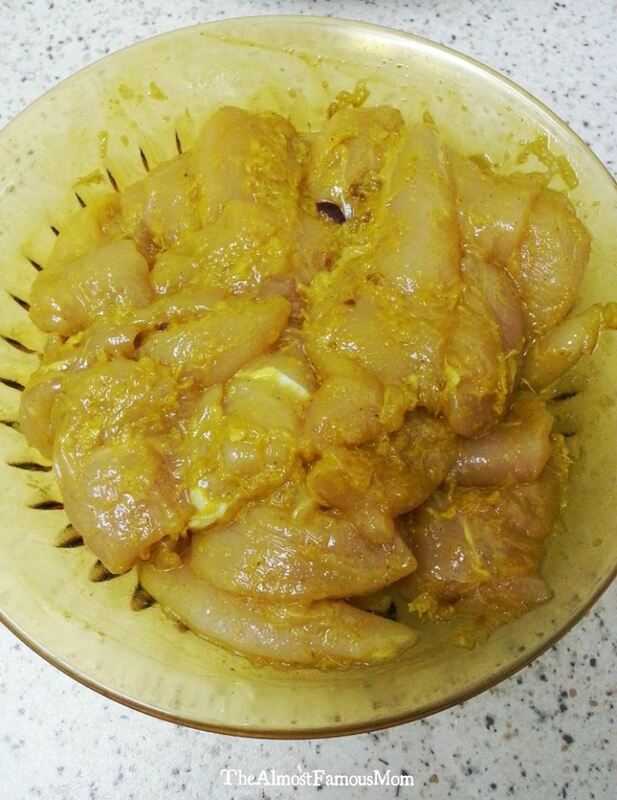 Marinate the chicken pieces with the spice paste and let it sit for at least 4 hours or overnight in the fridge. 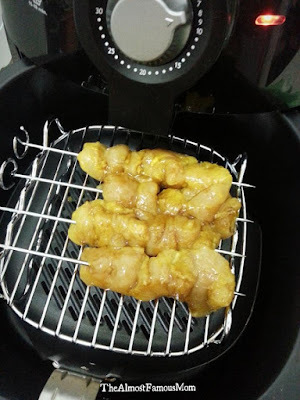 Preheat the Airfryer at 190°C for 5 minutes. Thread the chicken pieces on the skewers (Philips Airfryer accessories) and brush satay with honey and oil mixture. 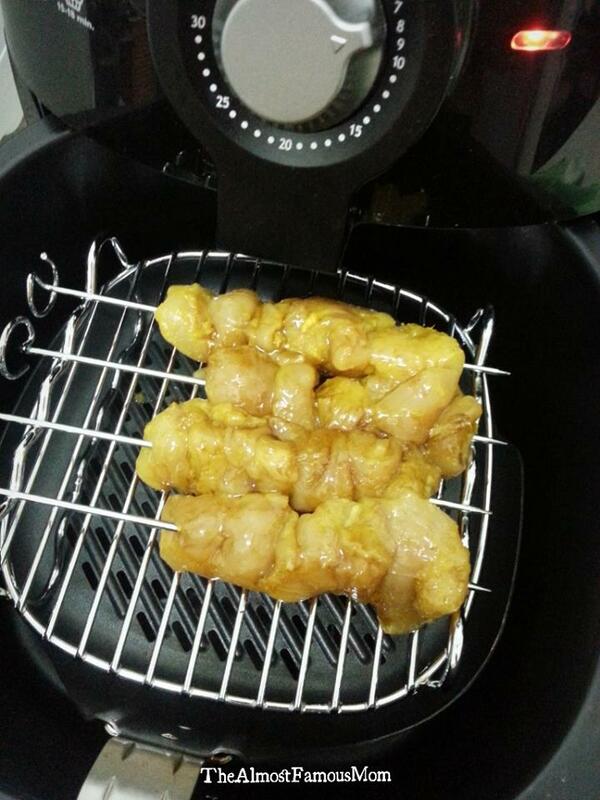 Place the skewers on the skewer rack (Philips Airfryer accessories) and AirBBQ for 10-12 minutes.